A feud between at least three local families is understood to be the reason behind the attack. A MAN WAS attacked by a number of men outside a school yesterday morning as an ongoing feud between three local families escalates. 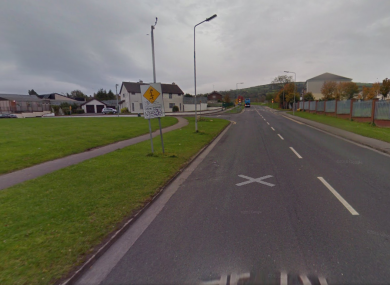 Four men, who were understood to be armed with bats and wearing balaclavas, targeted the intended victim outside a school in the Killinarden Heights area of Tallaght at around 9am. They had initially rammed his car, forcing his vehicle to mount a pavement near the school. Children making their way to school were visibly distressed by the violent scenes. The victim has yet to make a complaint to the gardaí. Officers believe that the attack was linked to a feud between at least three families in the Tallaght area. Gardaí confirmed that they are investigating the incident. A spokesman said: “Gardaí at Tallaght are investigating an incident which occurred at approximately 9am yesterday morning in the Killinarden Heights area. Two cars were involved in a collision , the male driver of one of the cars was assaulted by a number of men from the second car. Email “Four masked men attack man after ramming his car outside Dublin school yesterday morning”. Feedback on “Four masked men attack man after ramming his car outside Dublin school yesterday morning”.